The Beber Aquatics program is committed to providing campers with a safe, high quality, enjoyable, and productive swimming environment. We provide campers with opportunities to grow and succeed to their highest level. Water safety is the top priority and we operate from a belief that everyone should know how to swim. 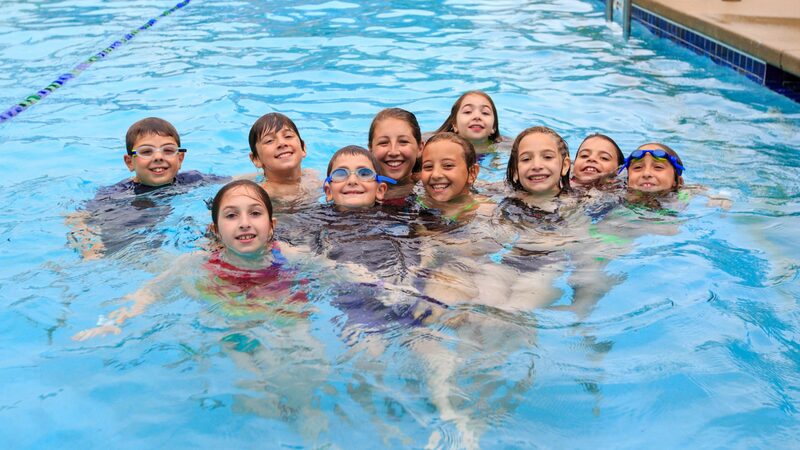 Our instructional swim program, which uses the American Red Cross learn to swim program, aims to allow campers to realize their full potential and individual goals. Programs include swim instruction, swim squad/swim the lake, free swim, aqua aerobics, and much more. The Beber Camp Arts & Crafts program helps to provide campers with an opportunity to explore their artistic selves. Art awakens the mind and the senses, encourages problem solving, and builds community. We offer a well-equipped workspace and programs that teach basic and advanced skills while providing a hands-on experience in a welcoming and supportive environment. 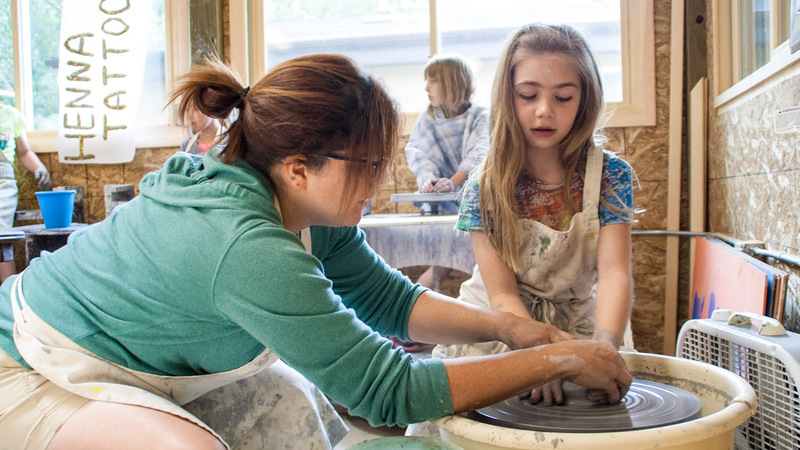 Programs include painting, ceramics, silver jewelry making, pewter casting, tie dye, beading, copper enameling, drawing, model rocketry, circus arts and woodworking. The Athletics program at Beber aspires to bring positive recognition to each camper who participates in a sport as well as maintain a broad offering of programs to encourage interest in sports. Our athletic programs are built on the concepts of participation, effort, skill acquisition, integrity, and enthusiasm. 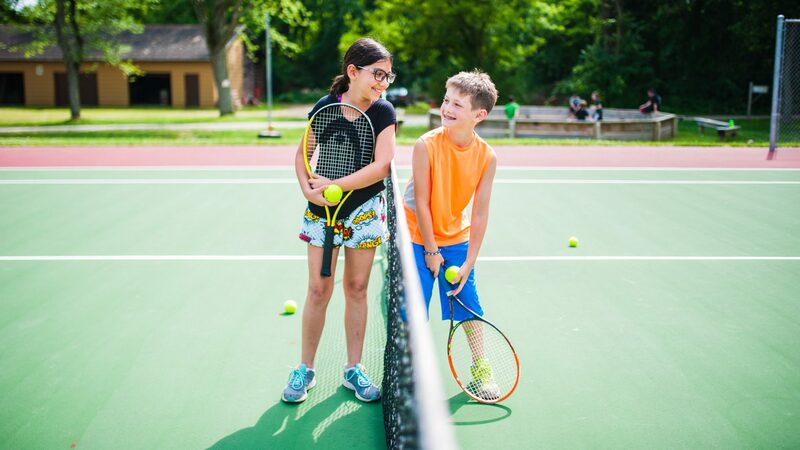 By participating in a sport, campers are encouraged to achieve individual excellence and the esteem that follows as well as promote teamwork where appropriate. We are committed to providing quality coaches and maintaining a reputation for innovation and progressive programming. We do not focus on competition, except where applicable, but rather emphasize and encourage campers to develop and learn new skills. Ethical conduct, teamwork, and good sportsmanship are always strongly promoted. We keep our athletic facilities in top shape and we are vigilant about safety to prevent injuries. Finally, we are committed to offering equal opportunities to all genders. Programs include basketball, tennis, baseball, soccer, archery, volleyball, fitness, ga-ga, ultimate frisbee, mountain biking and yoga. The Beber Camp outdoor education program provides hands-on opportunities for all campers to directly engage with the outdoors. Our 400 acres are a place for campers to learn how to participate in outdoor activities responsibly and safely. Our aim is to inspire campers to develop a personal relationship with the outdoors to promote the preservation and conservation of the natural environment. Programs include farming, gardening, geocaching, outdoor cooking, bird watching and camping/survival skills. 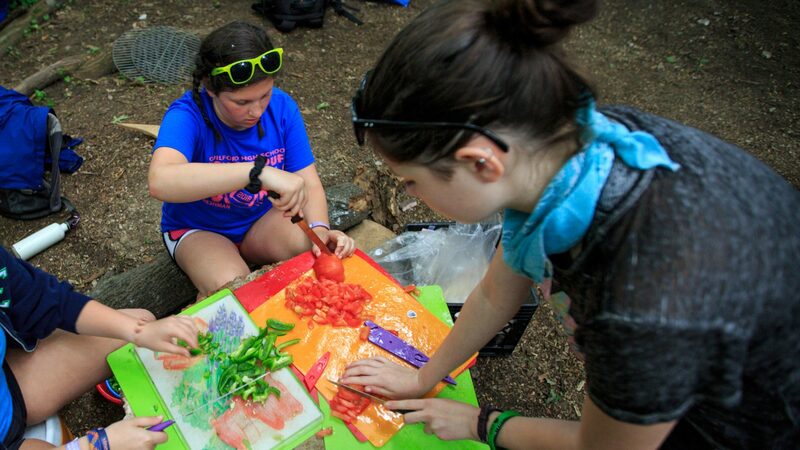 The Performing, Media, and Culinary Arts program at Beber provides a variety of activities to campers who are interested in the artistic fields of Cooking, Dance, Music, Theater, Print, and Visual Arts. 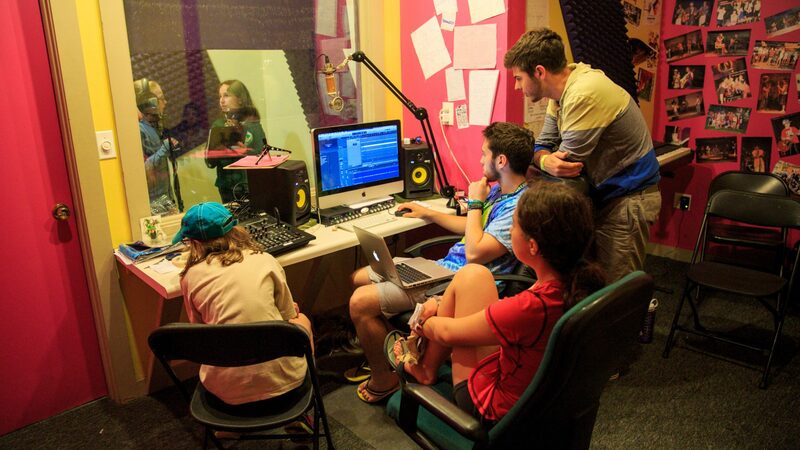 We value the creative process and creative product as well as the campers individual creative voice. This creative area is devoted to empowering campers to use their minds more creatively and inspiring them through diversity in activities to broaden their experience. Beber Camp values music as a dynamic force that enriches the lives of all our campers. Beber will be recognized as an amazing environment for music where the spirit is always strong and innovative. 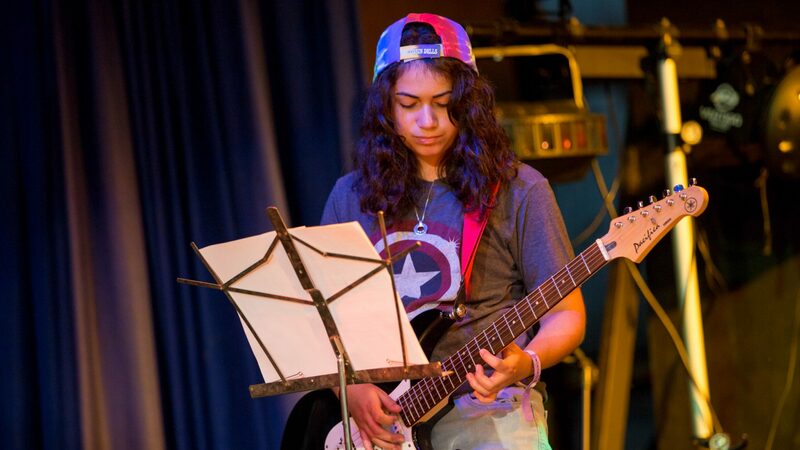 Music at Beber is all about fun and learning within a creative, spirited, and supportive environment for campers from a variety of musical backgrounds and diverse prior experiences. Campers are encouraged to develop their talents, learn to express their creativity, knowledge and skills through a range of music activities. Programs include recording studio, rock band, guitar lessons, song leading and more! The Beber Camp Challenge Course provides the camp community with a facilitated space to help cabin groups and individuals grow. We aim to facilitate opportunities for campers to tangibly recognize and internalize their own personal worth/value and realize their fullest potential, both as individuals and as part of the cabin group. We also assist individuals in developing leadership potential so that they may become a more positive and effective influence for good in their personal environment and in relationship to all those with whom they interact. Our facilities include a climbing wall, zip line, high ROPES elements and low ROPES team building elements. At the waterfront, we create an environment for the lifelong pursuit of fun and excellence of waterfront sports. We strive to be a leader in the teaching and skill development in all of our programs and we are registered members of many paddling associations. 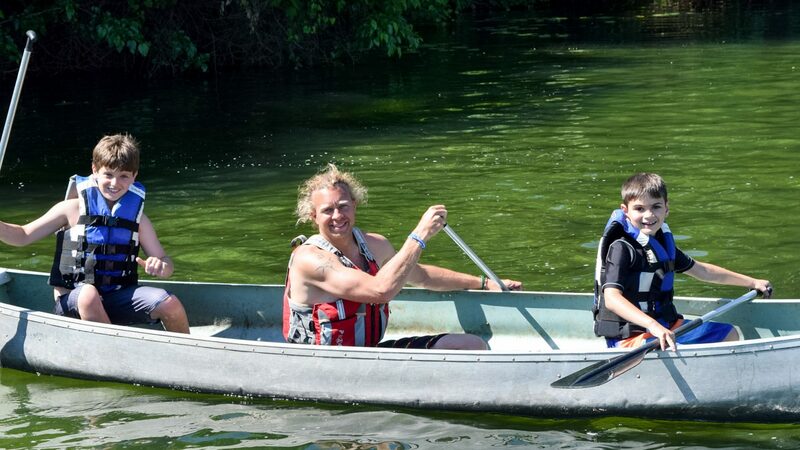 Our programs include sailing, canoeing, kayaking, windsurfing, paddleboarding, fishing and our amazing Aqua Park. We aim to lead, promote, and support the development and growth of Waterskiing and Wakeboarding at Beber through cabin activities and hobbies. Through our partnership with USA Waterski, the national governing body of waterskiing in the US, we aim to deliver the highest quality instruction and experience. 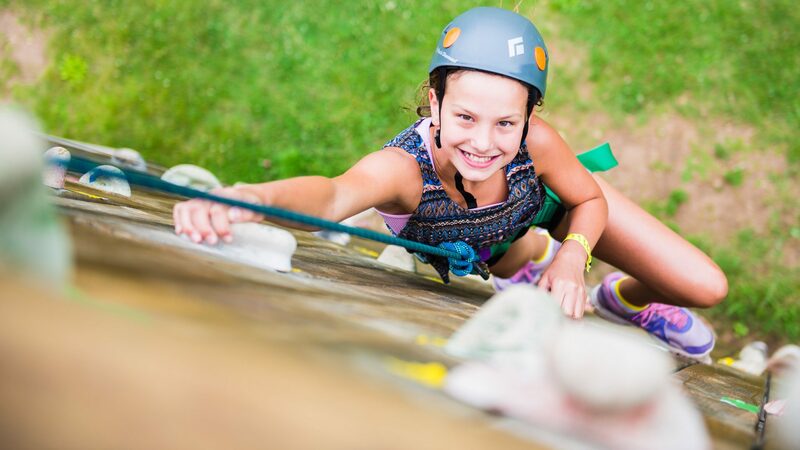 Their step by step skill progression program allows us to deliver individualized participant progress tracking and make sure that campers are reaching their potential.